The importance of women’s rights have sprung up in movements across the globe in the past few years, exacerbated by increasing social, environmental, technological and political polarities. 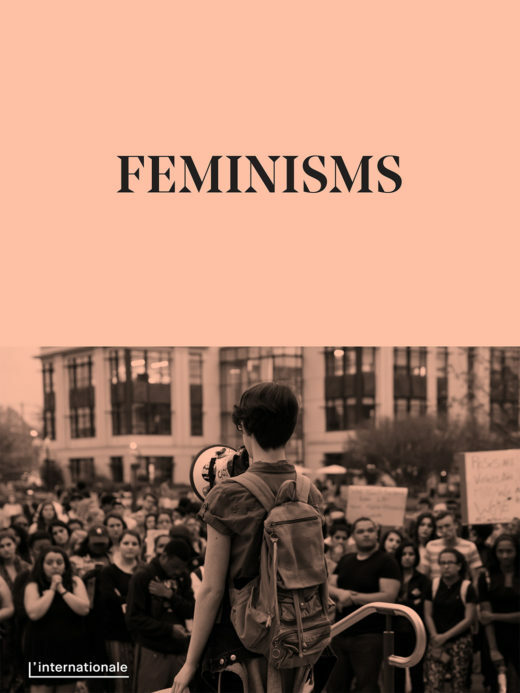 Feminisms is the sixth in a series of online publications published by L’Internationale Online. This publication examines how women, or those who identify as female have been addressing not only inequalities – in reproductive rights, sexual rights, and in the right to equal pay – but also how plural feminisms have been and are being consistently re-thought, and how art museums can work with and respond to issues surrounding women’s rights. Feminisms play a crucial role in what L’Internationale does – not only as a way to live and work with women, but as a framework for continually re-assessing the institution’s position for its publics. What is prevalent in this publication is a need to ask how we deal with emotion – not only as individuals, but as institutions and within bureaucracies. We hope that this publication can serve to raise discussions and to develop institutional practices that take into account our different publics, through a feminist lens.